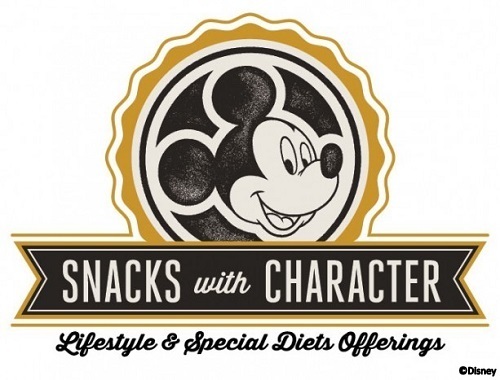 POSTED: Fri, 10/23/2015 - 16:00 | POSTED BY: Traci C.
The Snacks with Character line was created by Merchandise Product Development, Food and Beverage Health and Wellness, Disney Design Group, and several suppliers. The companies working with Disney to create the snacks are Enjoy Life Foods, Way Better Snacks, WOW Baking Company, and Ocean Spray. The snacks include gluten-free, nut-free, and other allergy-friendly items. The packaging includes allergy warnings so guests can determine whether a particular snack is safe for their needs. The Snacks with Character packaging also includes Disney characters which make them a fun option for kids with food allergies who weren't able to enjoy a Mickey-themed snack in the past. The line currently includes 11 items and snacks from Ocean Spray will debut later this year. Snacks with Character items are available in most merchandise locations at the Walt Disney World Resort and in some quick service food locations. Guests will also find the Snacks with Character line at Disneyland Resort, on Disney Cruise Line ships, and at Aulani, A Disney Resort and Spa. Will you be trying any of the Snacks with Character items? Let us know in the comments. I'm always so impressed with how far Disney goes to make eating with allergies effortless.